Matt McDermott and Matheny student Nicholas Barros. Matt McDermott’s gifts of toys and games to Matheny students have become an annual tradition. 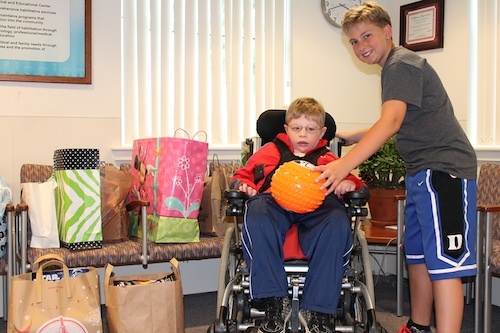 This year, the fifth grader at Mount Prospect School in Basking Ridge, NJ, asked guests coming to his family’s pool party to donate the toys and games, and then he and his mother visited Matheny to present them. This entry was posted in Uncategorized and tagged Matt McDermott. Bookmark the permalink.